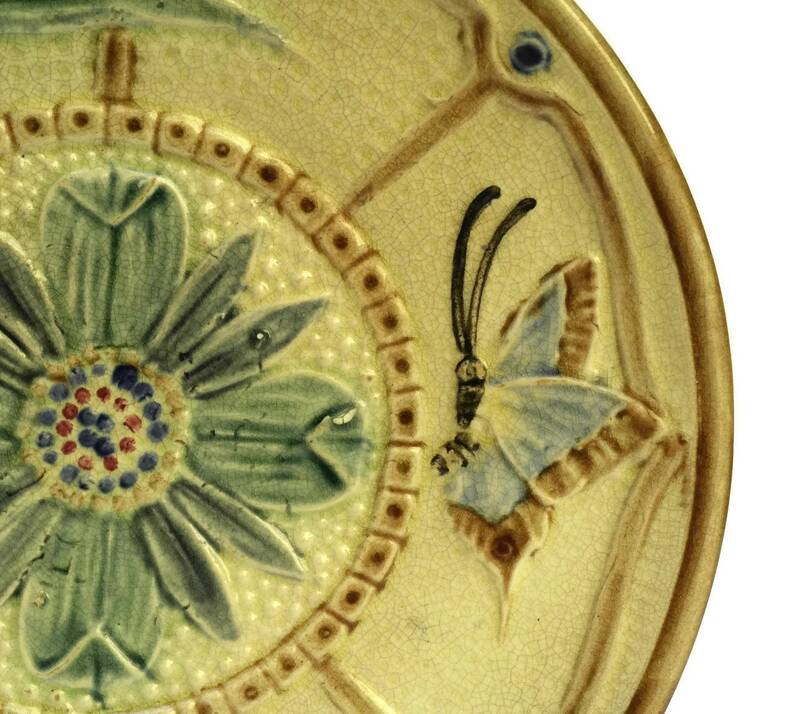 Antique Majolica Butterfly and Flower Plate. 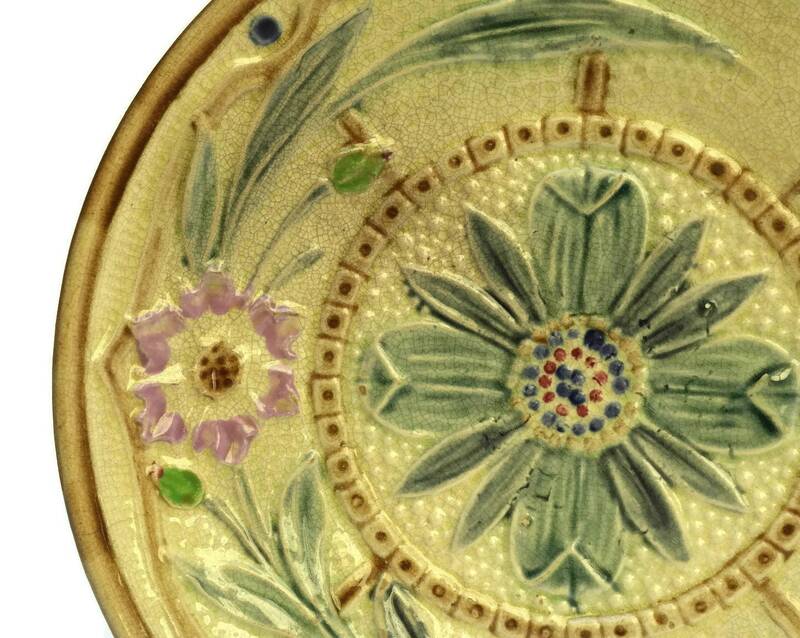 A beautiful antique majolica plate dating to the early 1900s and manufactured by the famous Wasmuël company in Belgium who produced Majolica between 1834 and 1951. 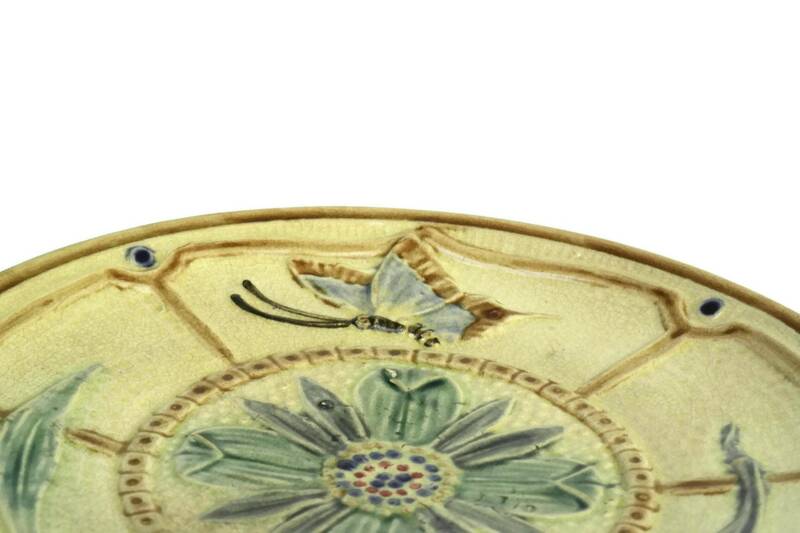 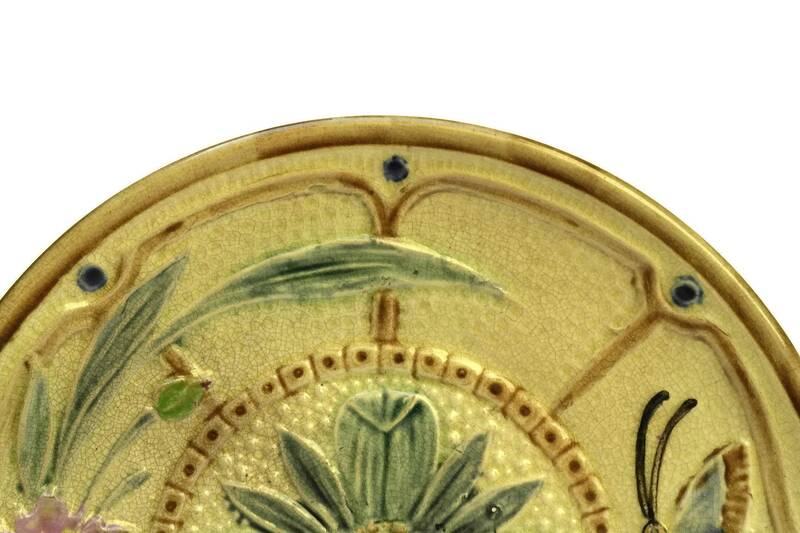 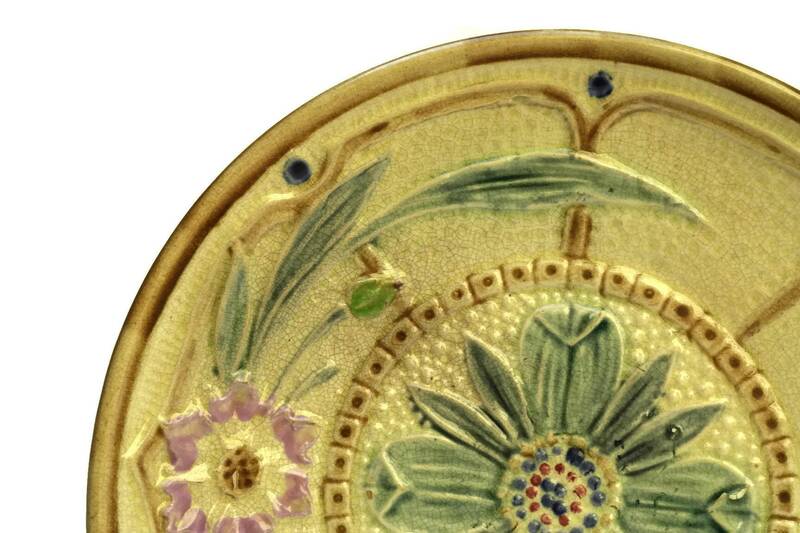 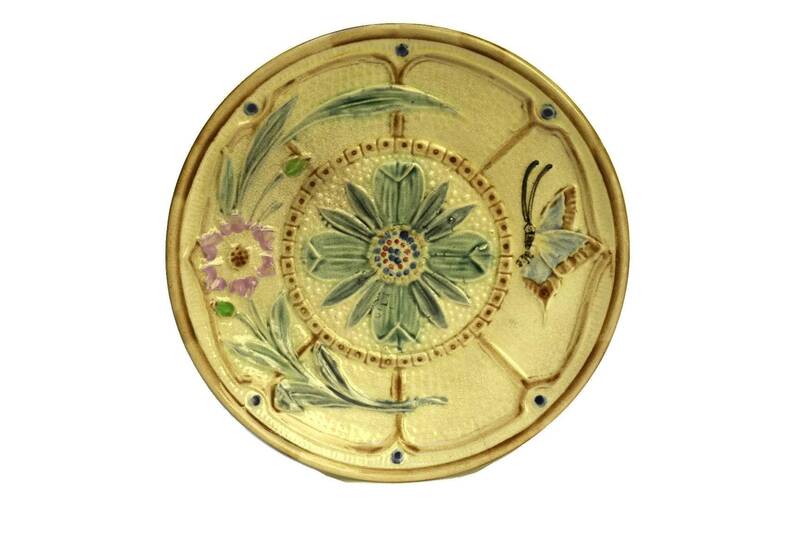 The glazed plate features a raised relief design with a butterfly, flowers and leaves. 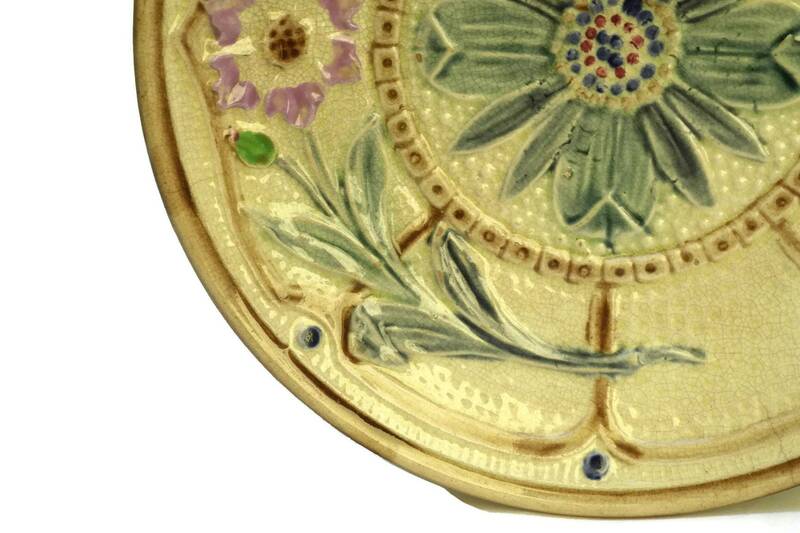 The decorative wall plate has been glazed in a shade of beige with pink, brown and blue accents. 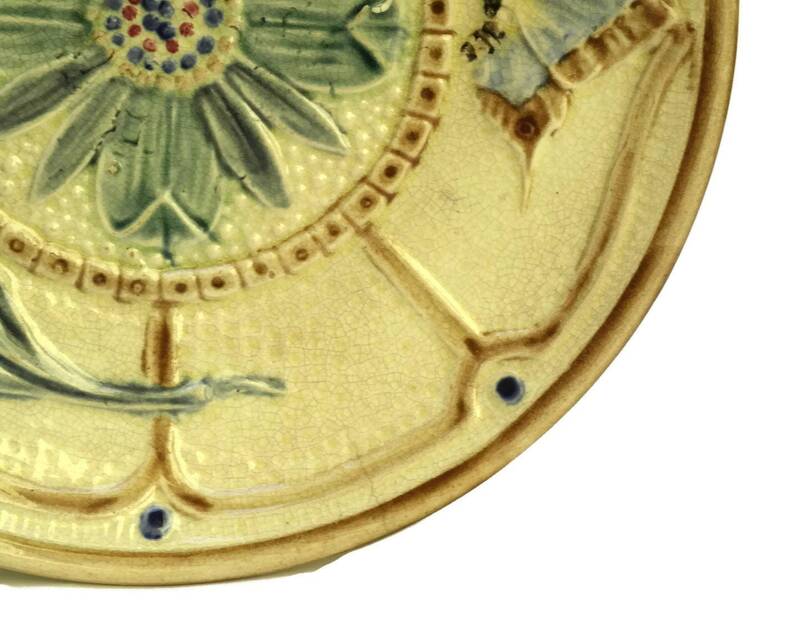 The underside has been marked by the manufacturer with the number 3. 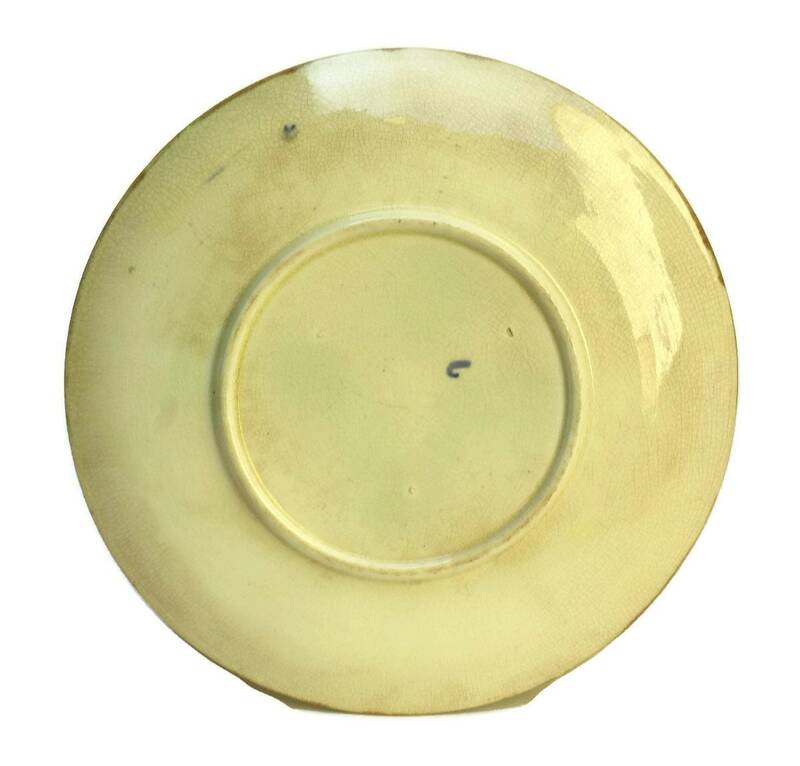 8" in diameter (21 cm). 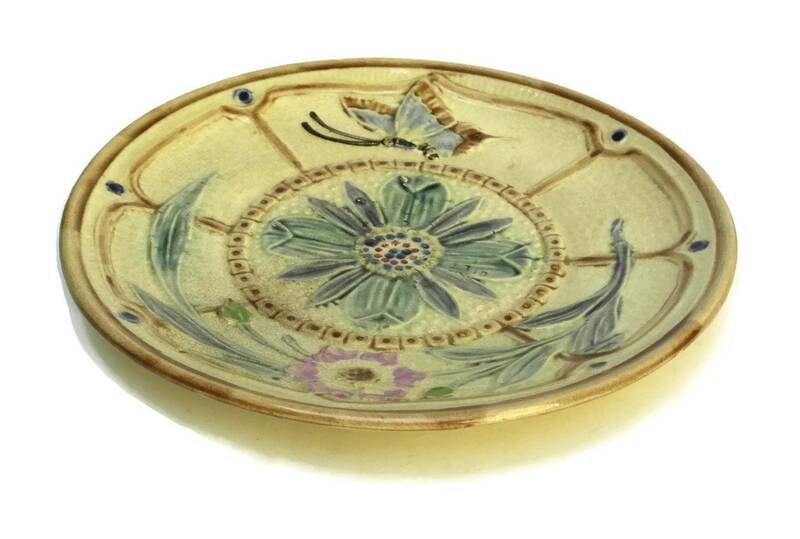 The majolica plate is in good antique condition with age-appropriate wear including patina and fine crazing to the glaze.